Marijuana Possession in Virginia is a misdemeanor criminal offense. A first offense is punishable by up to 30 days in jail and a fine of up to $500.00. A second offense is a Class 1 misdemeanor punishable by up to twelve months confinement in jail and a fine of up to $2500.00. 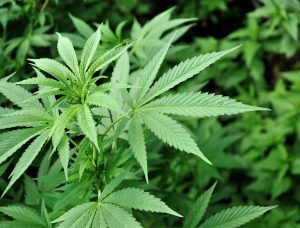 It is unlawful for any person knowingly or intentionally to possess marijuana unless the substance was obtained directly from, or pursuant to, a valid prescription or order of a practitioner while acting in the course of his professional practice, or except as otherwise authorized by the Drug Control Act (§ 54.1-3400 et seq.). In plain English, how is one found guilty of marijuana possession? Essentially, the Commonwealth must prove two things to convict for marijuana possession. First, that whatever the officer seized or took is a marijuana. Second, that it was possessed knowingly or intentionally. For marijuana, the officer will usually test the suspected substance using a field lab test. Depending on the court, this field test can be sufficient to prove the identity of the substance. Next, they’ll have to prove enough facts to show that the defendant “knew” they possessed the substance and that they “knew” it was a marijuana. It is, of course, difficult to prove what is in someone’s head. The prosecution will usually have to rely on circumstantial evidence to make its case. For example, if the drugs were found in the defendant’s pocket the prosecutor would argue that they possessed the drugs “knowingly” because people usually know what’s in their pockets. It’s the same thing for their knowledge that it was a drug. Most people don’t carry, for example, a baggie of marijuana in their pocket without knowing what they’ve got. I was issued a summons or arrested for marijuana possession or arrested for marijuana possession–what can be done? Marijuana possession charges can be difficult to beat and are highly fact specific. They depend on many nuances of search and seizure law. These laws provide the rules for when a police officer can lawfully make a search. Generally, evidence obtained in violation of the search and seizure laws is inadmissible. Good attorneys will always investigate and talk to the police officer about how the drugs in question were discovered. If there are problems with the search and seizure of the evidence, the prosecution will often be willing to make a favorable plea bargain or, in some cases, drop the charges outright. When it is a defendant’s first marijuana possession offense, there is a special option to resolve the case. VA Code § 18.2-251 allows for a defendant to get a first possession charge dismissed if they comply with certain requirements that are discussed here. If you’re facing a marijuana possession charge, you should consider consulting with an attorney to determine whether there are any possible defenses you can present.